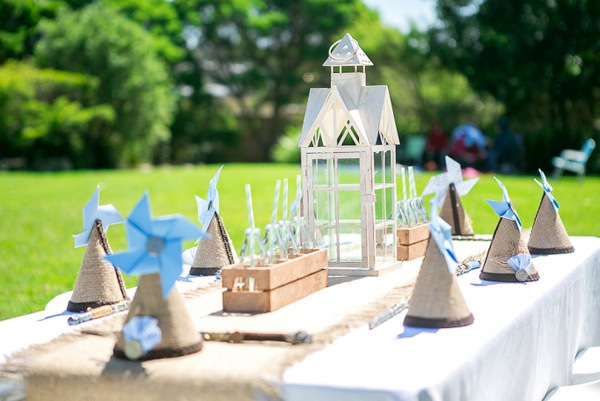 There are people who can put together the most amazing birthday parties without breaking a sweat. 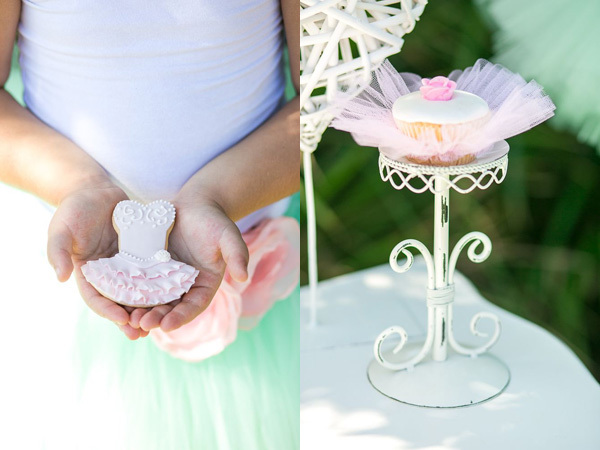 Parties like this stupendous ballerina birthday that we simply had to share with you. Over-the-top fantastic in every possible way, this birthday party to celebrate Raya turning three is simply tutu sweet. 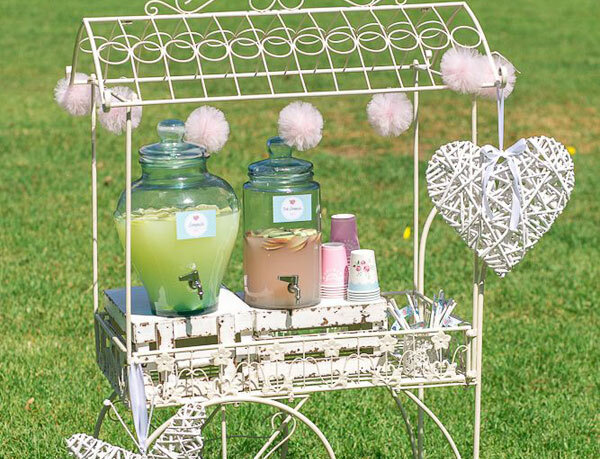 If that sounds like an official party theme, you’d be right! A lavish spectacle for the senses, just like a trip to the real ballet, we’re certain Raya and all her little guests will remember this particular party for the rest of their lives. 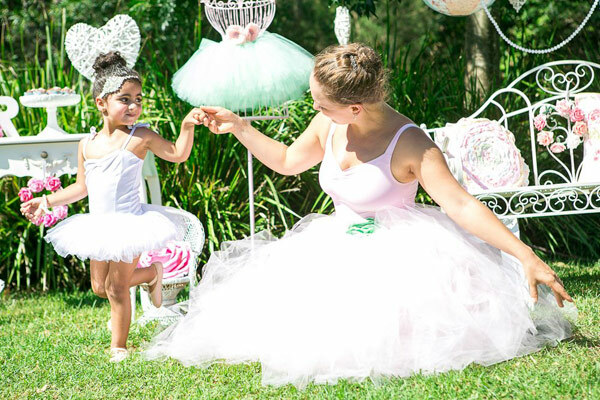 Mum Dalia chose the theme to celebrate her toddler daughter’s love of ballet and all things frou-frou. Now before the rest of you fall into a pit of birthday despair, you should know that Dalia plans parties for a living. So if Raya’s day wasn’t practically perfect in every way, with tons of details to draw lots of oooohs and aaaaahs, we’d have felt rather let down. To say Dalia has a talent for setting a party scene would be a massive understatement, so rather than overwhelm you with words, we’ll just let the pictures speak for themselves. Bunting. Blossoms. Beautiful. 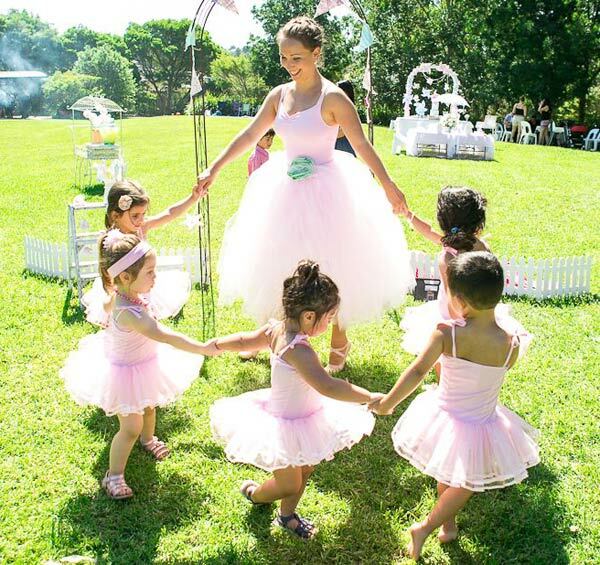 The fun started with a dress-up station, where arriving guests were transformed into pint-sized ballerinas, complete with ever-so-elegant buns. 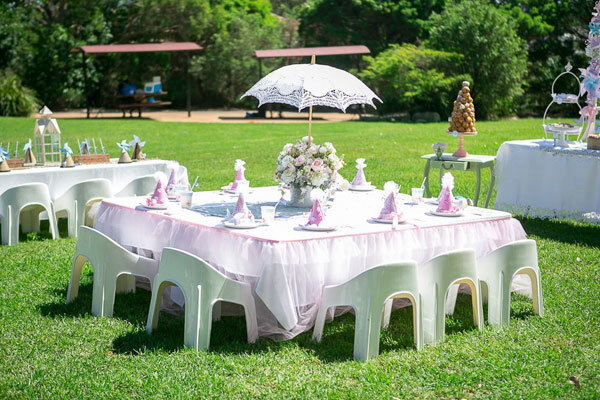 A visiting ballerina had them pirouetting, twirling and plié-ing their way around the park, with fun dancing and games, then it was time for the birthday tea. 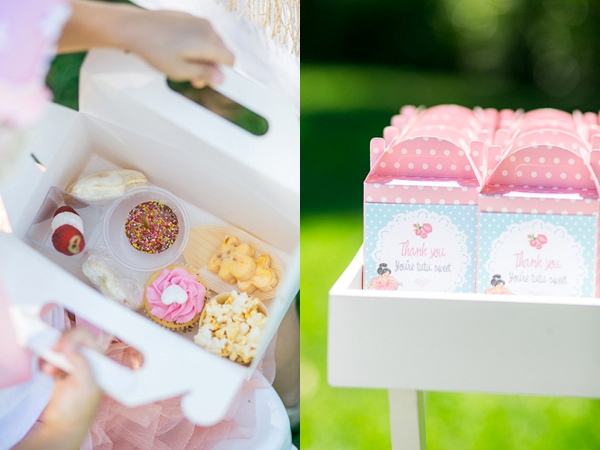 Rather than a table overladen with edibles, Dalia served refreshments in individual boxes gussied up with pretty stickers. 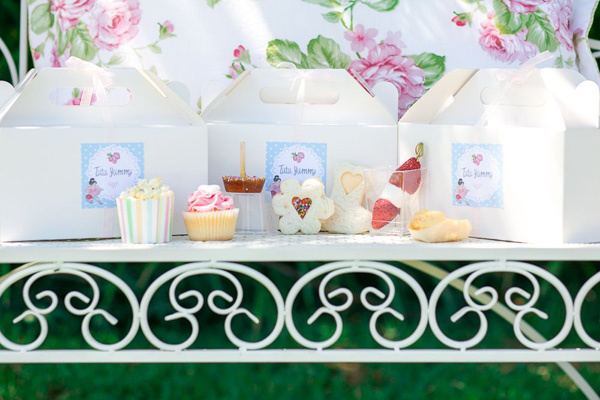 Each child nibbled their way through a cupcake, little sandwiches, popcorn and strawberries, among other tidbits. They came from Sydney-based Catering for Kids. Of course, this being a birthday where more is more, the sweets table did make an appearance. More cupcakes jostled for attention there with other sweets – two kinds of macarons from Her Macarons, ballerina cookies from Sweet Couture, intricate cake pops from It’s a Cake Thing – and the sublime birthday cake, a fondant encased masterpiece of bows and ballerinas from Cake Von Dee. 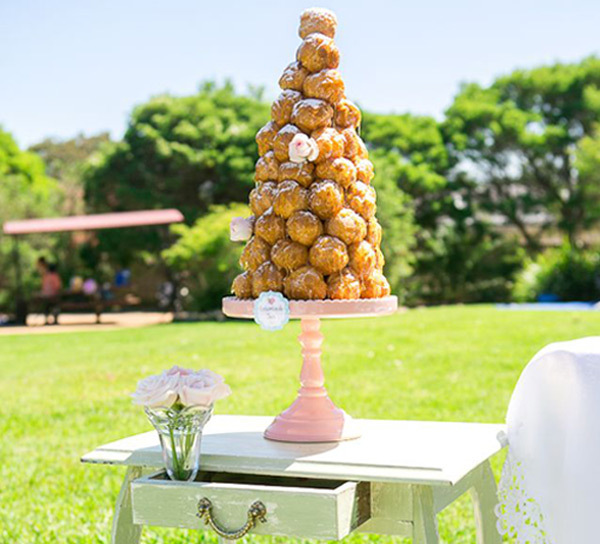 And how can we forget to mention that most magnificent towering croquembouche from Styled by Linda. 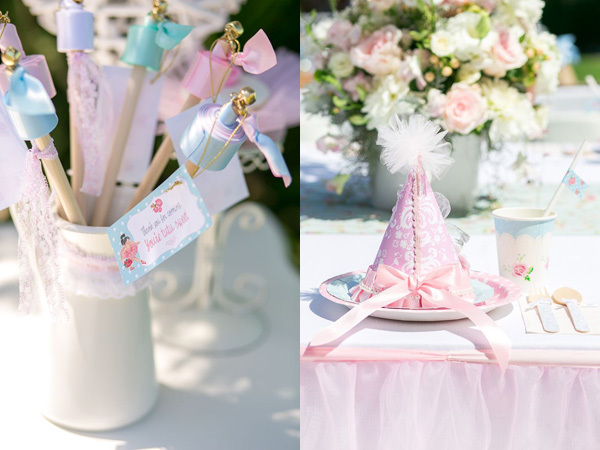 The party hats – all pretty pink pastels and pearls for the girls and pinwheel-topped burlap for the boys – came from The Pink Giraffe Fair, as did the pinwheel arched backdrop that framed the birthday cake so beautifully, while the ribbon wands came from Maddison’s Flutterbyes and the delicate tulle pom poms from Pom Pom Princess. 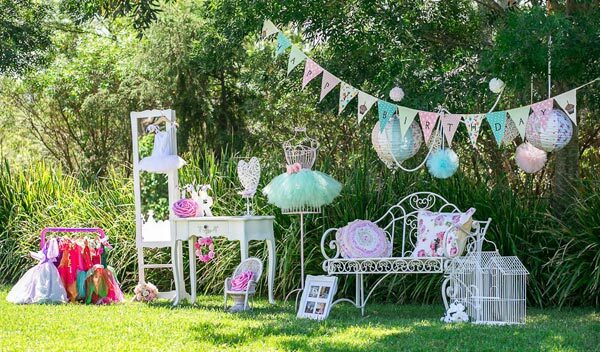 It would be remiss of me not to tell you that pretty much everything you see here – and many things you don’t, including the ball pit and other toys that kept the tots entertained when the dancing fun ended – can all be hired from Tiny Tots Toy Hire in Sydney. Now here’s one last picture, of the happy-as-a-lark birthday girl enjoying her incredibly special day. 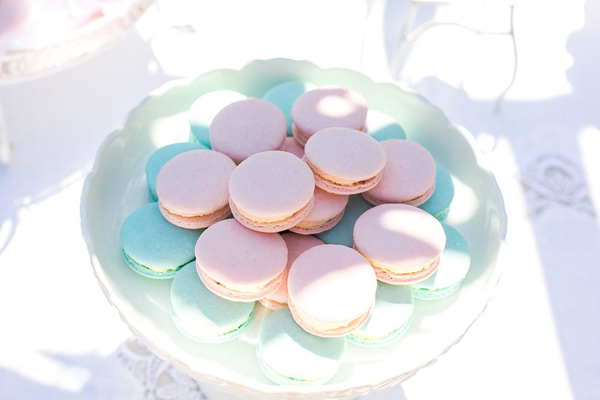 Want more ballerina party goodness? 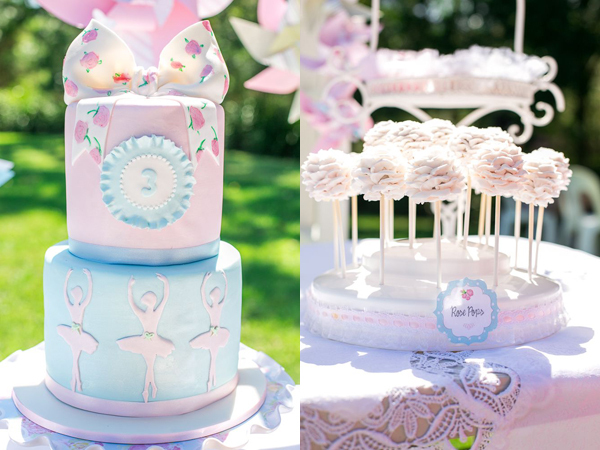 Then take another look at the ballerina baby shower we featured earlier. 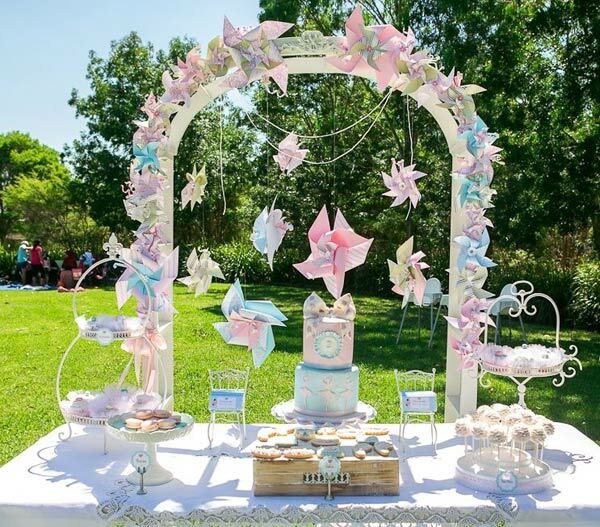 And don’t forget to let us know if you have a wow-worthy party to share by filling in the Show us your party form on our contacts page. While we can’t reply to every email, we’ll certainly let you know if your party is chosen to be showcased on Babyology. 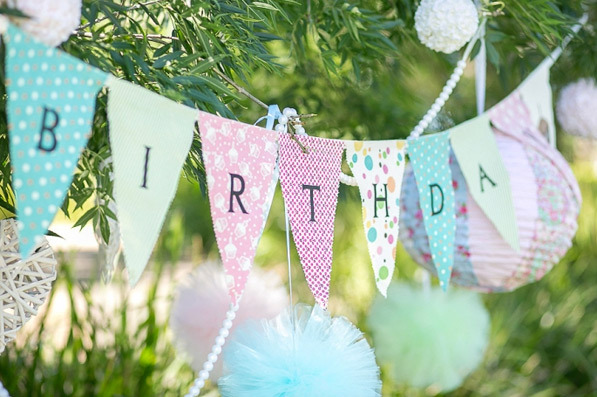 We can’t wait to hear from you and look forward to seeing your amazing parties!